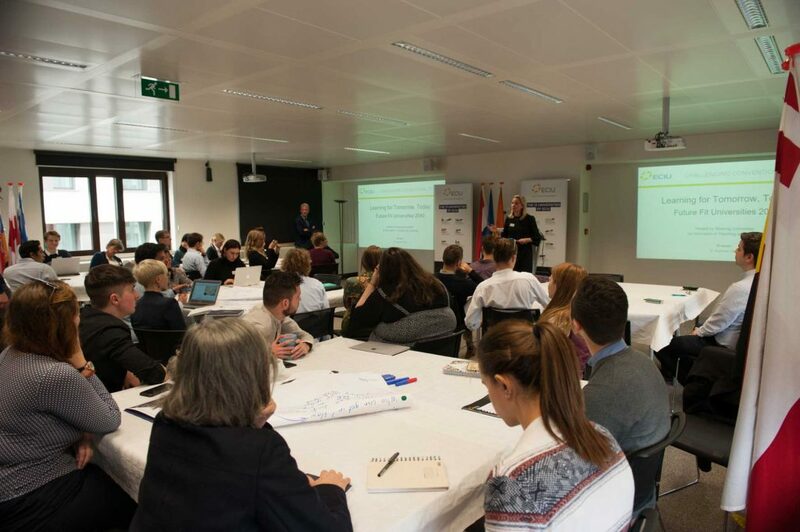 Behind closed doors, no less, in the House of the Dutch Provinces, located in the European heart of Brussels, the participants formulated five big questions on the future of higher education. 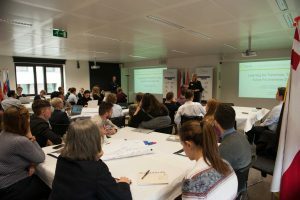 ‘Something of a unique event,’ according to Olga Wessels, head of the ECIU office in Brussels and one of the organisers. ‘During the day the meeting focused entirely on the students and they were also the ones who determined what the talks would be about. Something quite special really! In the normal course of things it would be the European policy makers that would set the agenda. Today we take a step back, away from all the political commotion. Central to this is the question, what type of university education will they experience in another 20 years from now? Because a child born today will not graduate from a European university until around 2040. The participants bent over the paper table cloths in two groups, coloured markers in hand. In red, green, black, with arrows, lines and circles they sketched out their ideas on the paper. A mélange of key words and phrases eventually appeared: free education, society versus economy, face 2 face, learn how to learn. The free flowing brainstorming resulted in five big questions. How and what will students be learning? What role do universities play in lifelong learning? How can students be involved in shaping universities? What is the role of universities in 2040? To produce workers or citizens? What will universities’ business model be?